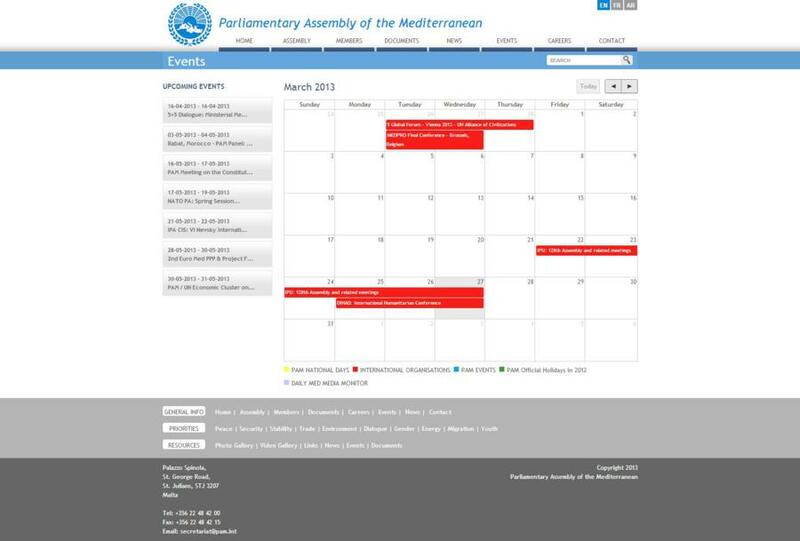 The Parliamentary Assembly of the Mediterranean has trusted Abakus Labs to revamp their website. The portal, available in English, French and Arabic, has the main role of informing the public at large about the work of the organisation. The portal also has a downloads section which aims to keep readers constantly informed. 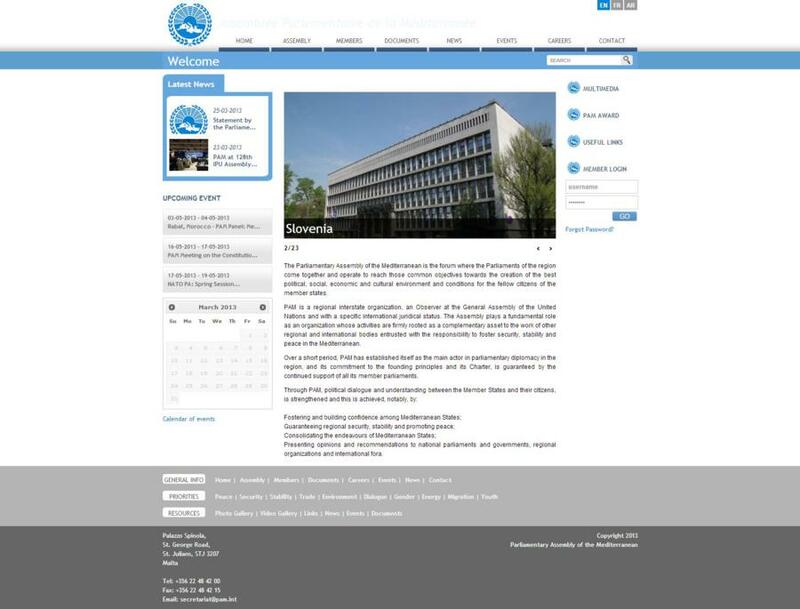 From here one can download the newsletters of the organization as well as the plenary notes of all the meetings held. Another feature present on the website is the calendar of events. The intuitive interface makes it easier for the users to browse through the events being held by the organization throughout the year.